Francesca Main is the Editorial Director at Picador in the UK. 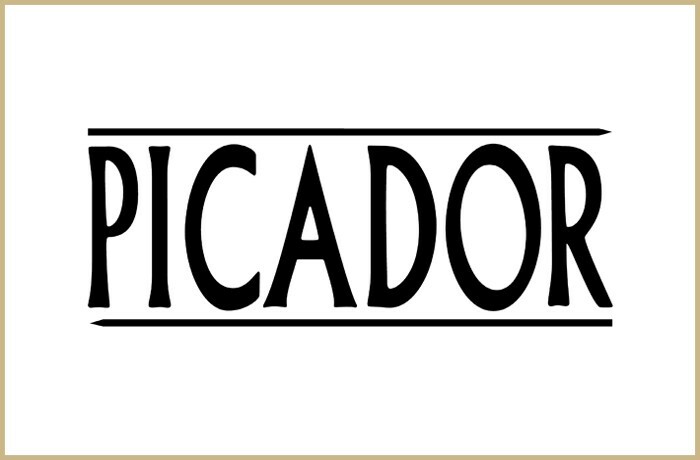 Established in 1972 as an imprint of Pan Macmillan, who in turn are part of the Macmillan Publishing Group, Picador initially began their journey publishing paperbacks and only launched their own hardback range in 2007. Their early releases focused on international writing and in particular the Picador Travel Classics which were released during the 1990s. This series of 17 hard-cover books from many of the world’s great writers has become one of the most collectable in the entire travel literature genre. Today Picador’s reputation is predominately based on a roster of prize-winning literary fiction and non-fiction. However, unlike many of their competitors they have a proud history of actively seeking out the latest talents in poetry and bringing their work to a wider audience. Shortly after Francesca Main graduated from university she landed an internship at the Blake Friedmann Literary Agency, where her passion for reading manuscripts instigated her curiosity to switch to the publishing side of the business. Working in the editorial department of the Penguin imprint Hamish Hamilton quickly cemented the desire to be a publisher herself, and in 2007 it was realised when she was appointed a Commissioning Editor for Simon & Schuster. After four years of discovering and publishing some of the finest talent from around the world, she caught the eye of the British Council who in Feb 2011 selected Francesca to be one of the 7 UK editors to tour Beijing, Nanjing and Shanghai to cultivate a wider understanding of the Chinese publishing industry. This successful tour of China further enhanced Francesca's reputation within the industry and in September of the same year, Picador, on the eve of their 40th anniversary, announced Francesca Main as the new Editorial Director. Francesca has been a guest speaker for Faber Academy, universities, the Geneva Writers' Group, the Arvon Foundation, and most recently the Singapore Writers Festival. Focusing on Picador's core publishing line of literary fiction with a commercial appeal, Francesca Main welcomes submissions from literary agencies only. When did you first develop a love for reading? And are there any of these early reads that still haunt or inspire you? I have loved reading for as long as I can remember. I was a member of several libraries even before I started school, toddler-nerd that I was, and was read to every night by my dad for years. Books were always a big part of everyday life; the best kind of fun and the best escape. So many of those early reads have stayed with me, including all of Roald Dahl's books, The Railway Children, Charlotte's Web and a picture book called Badger's Parting Gifts. (Those last three all have at least one heartbreaking moment in them so it's good I had The BFG and Revoluting Rhymes and Danny the Champion of the World to balance things out). Did you ever entertain the notion to become a literary agent rather than a publisher? And what is it about the latter that you initially found so appealing? My first taste of publishing was an internship at a literary agency, which I loved, so yes, I did think about it. But then I got a job at Penguin and seeing the editors there ignite passion for books and work closely with authors made me want to do that too. During your first month working as a publisher what aspects of the industry did you find surprising? And what were the most challenging ones to learn for your job? In my first week of work experience I was asked to open all the post each morning and I was absolutely amazed at how many unsolicited submissions came in to the agency every day – sometimes twenty, sometimes thirty... It was hard to adjust to the reality of how few of them would become the books that lined the agency walls. In becoming an editor I think the biggest surprise, and at times the biggest challenge, was the way it requires you to be detailed-oriented and focused and spend a lot of time quietly working by yourself one week and then be outgoing and imaginative and cheerleader-y the next. But that's exactly what I love about it. As Editorial Director of one of the Big Six there will invariably be a multitude of inter-departmental responsibilities that can hinder your time to edit. Can you explain what these might be? And how you prioritise them throughout the working week? Like most editors, I spend the majority of my working week doing everything but editing – going to meetings, replying to emails, liaising with agents, collaborating with colleagues in sales, marketing, publicity, rights, design... But I also spend a lot of time working with my authors and I do make editing a number one priority, even if it means doing a fair bit of it in the evenings and at weekends. Have you noticed any difference in the quantity or quality of the submissions you receive at Picador compared to the previous publishing houses you have worked for? I'm not sure if it's related to where I work so much as gaining experience and getting to know agents better. I think the past year has been the biggest yet in terms of both quality and quantity, but maybe it's just been a lucky one. In your publishing career approximately how many submissions have you read? And what percentage of them have you actually published? I don’t know how many it would be since I started working as an editor, but I can tell you (thanks to my submission-logging spreadsheet) that I’ve received 361 submissions, most of them novels, since I started working at Picador. Of those I have acquired six new authors. How delicate do you need to be when rejecting manuscripts sent by literary agencies? I'm not sure you need to be delicate so much as polite and respectful and honest. That's what I aim for, anyway. What is the farthest paragraph or page a manuscript has lasted before you felt compelled to make your first edit? I have no idea! I do tend to leave notes on every page, but sometimes they're just little asides to the writer about things I especially loved. How do you determine the fine line between editorially improving a page, and altering the voice and intent of the writer? What overused phrases do you wish writers would refrain from using in their submissions? It seems hard for writers to mention coffee without describing it as bitter. A great many female characters are overly defined by their hair (my blue pen gets especially twitchy about 'raven hair', 'auburn hair' and hair spread out across a pillow). Ending a chapter with '... and everything went black' is an all too common way to trick a reader into thinking the protagonist has died, only to show them slowly open their eyes in the next one. Also, in a lot of novels a dog will bark in the distance for no apparent reason. Are you ever able to read a book for pleasure without identifying editing changes you would have made? Oh, definitely. If I start thinking a book needs editing I just put it down and read something else. Do you harbour any ambition to one day run your own imprint? It's not occurred to me before. I really love working at an imprint with a history, and it was a huge honour to join Picador on the eve of its 40th anniversary and help celebrate the many wonderful books that have been part of the Picador story. But never say never. Maybe someday I'll start up Bitter Coffee Press.